Dominique Hooks is a transfer from the University of South Carolina-Salkehatchie. During his time there, he was the senator for West Campus Student Government Association. The Moncks Corner, S.C., native was the recipient of the LIFE academic scholarship, twice, while being awarded the Scurry Foundation academic scholarship as a sophomore. He worked as a tutor and mentor for elementary school children. Prior to USC-Salkehatchie, Hooks graduated from Berkeley High School in Moncks Corner, S.C. 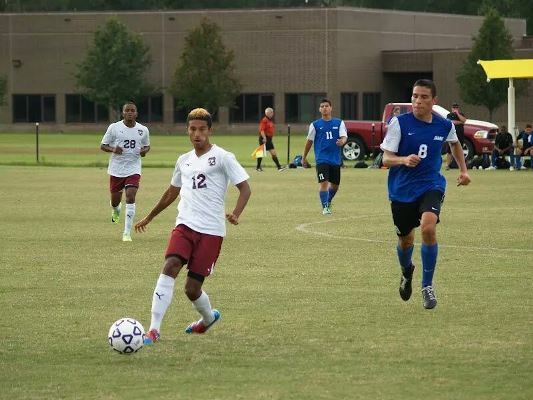 He was the first male player in school history to be awarded a college soccer scholarship. He was a four-year starter while leading the team in scoring and assists as a junior and senior. Hooks is a member of the Goose Creek United club team. He is the son of David and Angela Hooks. He has an older brother, David Jr. and an older sister, Noelle. He intends on majoring in Criminal Justice.